Kunstlicht put together the exhibition Alternative Exactitudes to coincide with the publication Mind the Map. 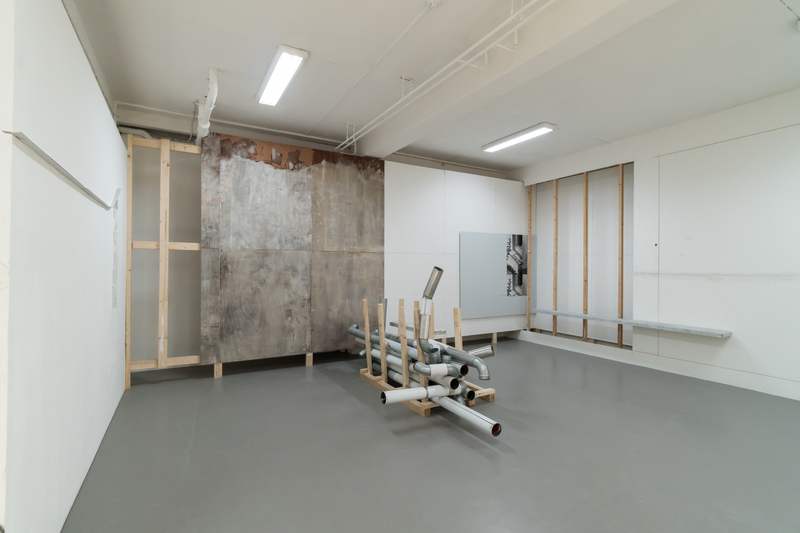 It took place from 19 – 22 December 2013 at P/////AKT, platform for contemporary art Amsterdam. Featuring: Annesas Appel, Lado Darakhvelidze, Luc Deleu/T.O.P. 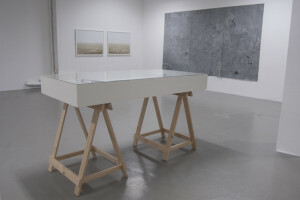 Office, Tim Hollander, Gert Jan Kocken, Jean Bernard Koeman, Julio Pastor, Caterina Pecchioli, Elian Somers, Adrien Tirtiaux, and Sofie Van Der Linden. During the opening there was a performance by Pia Louwerens and a lecture by Robert Verhoogt. Overseeing the world is seeing an abstraction. Cartography is the ultimate symbol of this: the map only functions because it is an artificial entirety of simplified marks designating more complex forms of knowledge such as geographical or demographical knowledge, but also the memory or the imagination of the ‘terrain’. For centuries, the cartographic representation of the earth was hardly ever contested but this changed in the course of the twentieth century. In cartography as well as in the visual arts, the systems that had previously been utilized to render reality legible were critically assessed. In the meantime, the map has become firmly rooted in contemporary art. What is the explanation of its appeal to artists? And is this process of influence one-sided or can cartography also develop by looking at the visual arts? 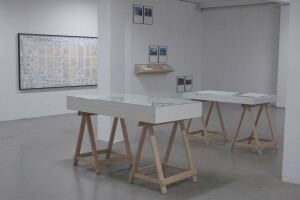 Whilst Mind the Map examines these and similar questions as well as various case studies in a discursive manner, Alternative Exactitudes displayed artwork that opens up our understanding of cartography, signaling new issues and formulating unexpected answers. The exhibition was accompanied by a print-on-demand catalogue.